Santin to Chair National Committee | Ohio Vein & Vascular, Inc. Santin to Chair National Committee – Ohio Vein & Vascular, Inc.
Dr Brian Santin was recently invited to serve as the Chair-Elect of the Membership Committee of the American Venous Forum (AVF). Dr Santin’s work and contributions will be essential in laying the groundwork for a high standard of leadership in the future of the AVF. This commitment is a one-year term, commencing at the Forum’s Annual Meeting in Palm Springs, California in late February this year. In 2016, Dr Santin will transition to the Chair position and in 2017 he will serve as the Past Chair. Founded in 1987, AVF fosters cutting edge research and clinical innovation and educates health care professionals, patients and policy makers about venous and lymphatic disease. AVF’s leadership and membership are recognized internationally as thought leaders, expert investigators and clinicians in veins and lymphatic disease. Despite the medical advances of the past two decades, venous disease still remains underestimated for its effects on public health. Experts believe that at least 25 percent of the U.S. and worldwide population suffer this disease. 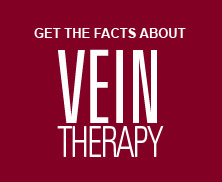 It is the AVF’s membership that moves and drives the advancement of venous health through various initiatives.